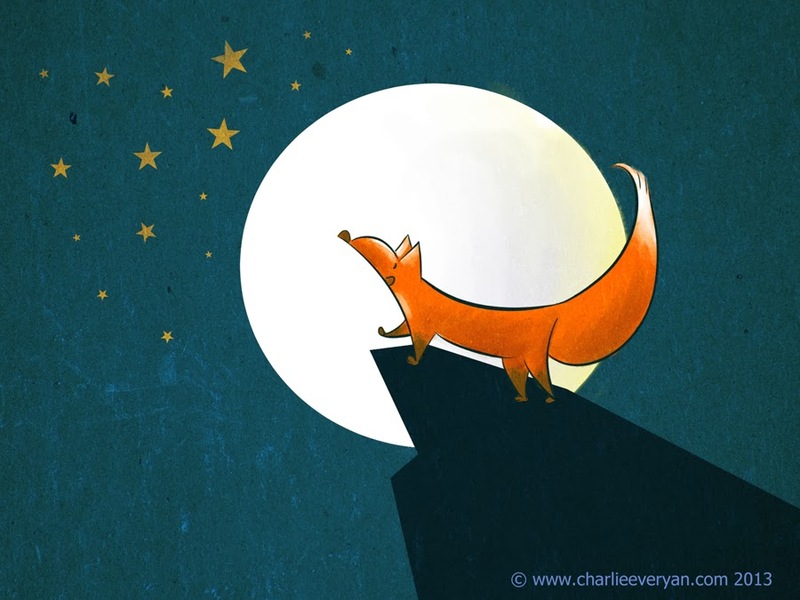 Today we welcome the very talented freelance illustrator/writer Charlie Eve Ryan. 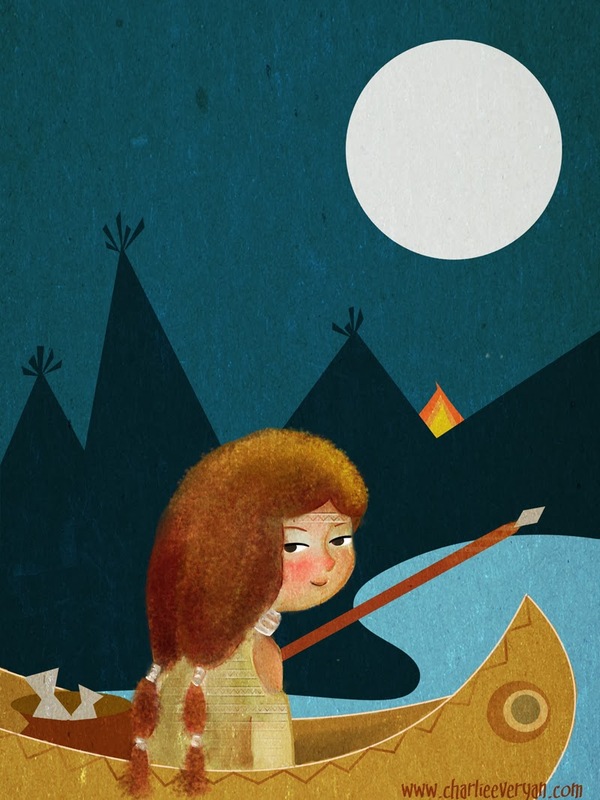 I grew up in Eastern Pennsylvania with my family and spent most summers camping, fishing and being a tomboy. In school, I spent many days splitting time between a variety of sports and art classes. I was equal parts art geek, book nerd, and athlete. Once out of school, I eventually went on to become an EMT working in a pediatric ICU and eventually as a nurse at a cancer center. I loved nursing but spent my nights and weekends building my bigger dream of becoming a children's book illustrator/writer. What are you working on these days? What are your illustration goals this year? I write as often as I illustrate so there are always manuscripts to revise and characters to explore. Right now, I am working on a new promo mailer and plan to send that out into the world soon. My goal for the year is to take on more freelance clients, land a book deal and continue to grow as a person and an artist. We just heard the wonderful news of your signing with an agent. Can you tell us how that came about? I had attended an SCBWI-EPA fall/crit fest in November and had an editor show interest in seeing more of my work as well as interest from two agents I had queried in late November. After many years of prepping, I was finally starting to feel more confident in my work. I am part of Julie Hedlund's 12x12 challenge which allows participants to submit to agents each month. When the 12x12 December agent was announced as Jennifer Starkman from the Transatlantic Agency, I began to research her and the agency more. I was impressed and a little overwhelmed by the level of talent and experience there. Based on her likes and dislikes I felt she could be a great fit for my work. I sent her a manuscript and a link to my online portfolio. She got back to me quickly, passed on the manuscript but expressed a lot of enthusiasm for my illustration work and said my writing was strong and unique, but we would need to find one that works in today's market. I spent most of the holidays with my stomach in knots, knowing people were actively considering my work after requesting to see more. Jennifer and I communicated the most through it all and I really felt like she was a great fit for me and the direction I wanted to go in. She was passionate about books and very knowledgeable. When she made the official offer in January, I was extremely excited. Where on the internet can people find you and your work? Thanks so much for having me, KidLit411! Congratulations on landing the agent Charlie Eve Ryan! Your illustrations are vivid, colorful, and distinct! And Congratulations again for landing an Agent!!! Thanks so much for having me, Elaine! This is a great resource for all of us creatives :D.
Ever since I met you in Mark Mitchell's class, I have been inspired by you. Thanks for sharing a bit of your journey with us! Thanks Sylvia, I love following your work, too! Mark's class is one of my favorites! So excited for you with your recent 'landing'! I have loved watching your style develop since we first met through 12x! All the best! You too, Julie! It has been great seeing all your new characters. They have such personality! Thanks. Love your work. Congrats and good luck! Thanks Dana, it is so fun seeing your work over on Doodle Day. Charlie I have seen your style transform and just blossom. So excited for you and so proud of all you've accomplished!! Thanks for sharing. Thanks Laura, I loved watching everyone's progress in Mark's class, too! Thanks Teresa and I hear ya, the summer plus multiple classes was crazy busy but so much fun. Hej! Really excellent :-) Thanks for the interview! Thanks so much for stopping by, Gary! Congratulation! And, thanks taking the time for the interview it was very inspirational. Your work is fabulous. I've enjoyed it since meeting you through online writer's activities. Congrats again on your agent! Wonderful news! Great meeting you, too Penny and thanks! Congratulations on your agent. It sounds like great things are coming your way. I enjoyed the interview and getting to see more of your illustrations. Thank you. Congrats on the agent! That is marvelous :-) Pinterest is great for inspiration, I agree! 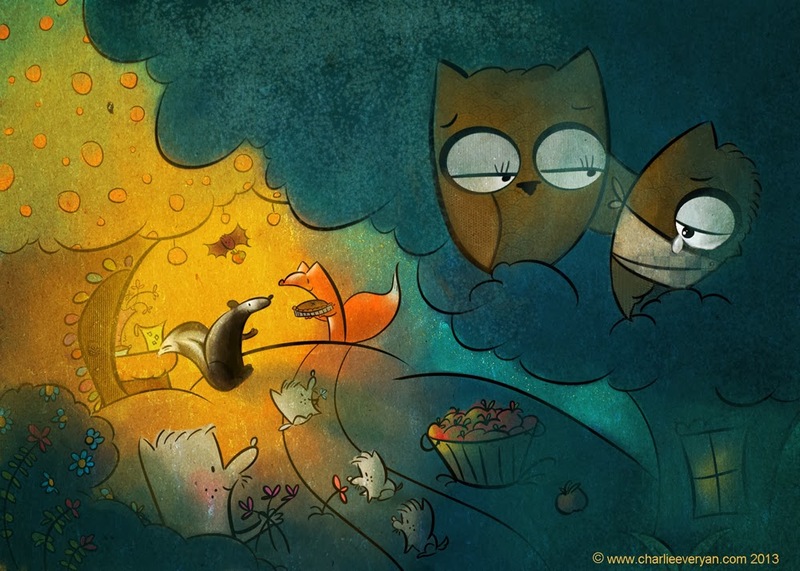 I love your illustrations!